CerTest ROTA+ADENO+NORO one step combo card test is a coloured chromatographic immunoassay for the simultaneous qualitative detection of Rotavirus, Adenovirus and Norovirus in stool samples. 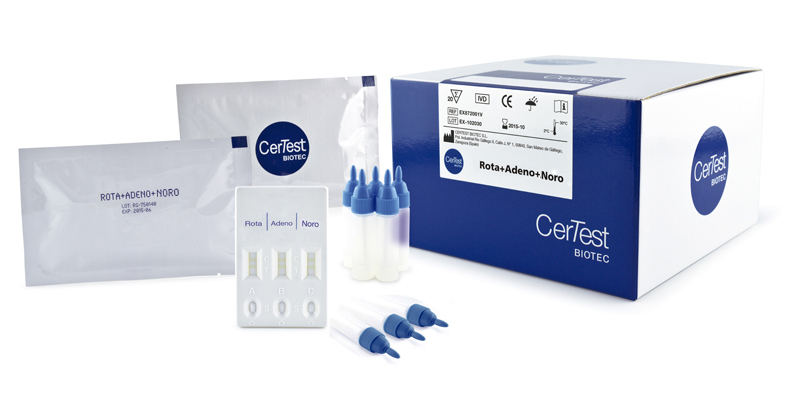 CerTest ROTA+ADENO+NORO combo card test offers a simple and highly sensitive screening assay to make a presumptive diagnosis of Rotavirus, Adenovirus and/or Norovirus infection. The symptoms of Norovirus related diseases are those typical of gastroenteritis, that is, vomiting, watery diarrhea and abdominal cramps. Vomiting is a characteristic symptom in the majority of Norovirus infections (64% of adults and 81% of children). Other symptoms such as general malaise, low grade fever, nausea and fatigue are also present in over 90% of cases. The incubation period of the disease is generally between 12 and 48 hours, while infection lasts between 12 and 60 hours.  Infection may also be asymptomatic, and thus contribute to the spread of the virus in the community. As a rule, the disease does not have serious consequences, and most patients recover within 1-2 days without complications. Debilitated patients and persons with weaker immune systems such as children, elderly or chronic patients may be affected by more serious forms of the disease. Specially, dehydration may represent a serious complication for children, the elderly and persons with a precarious metabolic balance or cardio circulatory instability.